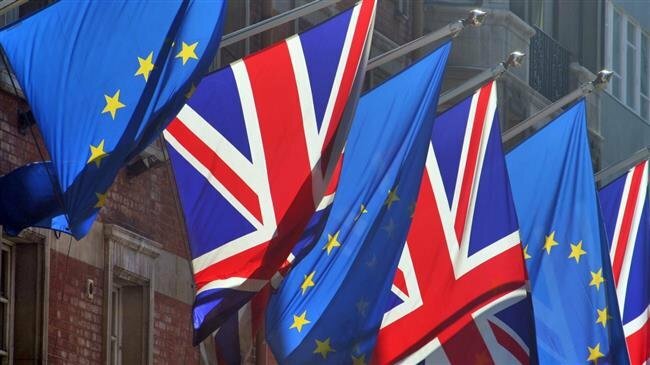 A major business chief operating in the United Kingdom has criticized the way the government and the parliament are handling the country’s withdrawal from the European Union, saying Britain, once praised for its economic and political stability, is becoming a global laughing stock. Juergen Maier, who serves as the UK head of German industrial giant Siemens, said in an open letter to British lawmakers published on Monday that the political standoff over Brexit was wrecking Britain’s reputation of business stability. The letter comes amid growing uncertainty over how and whether Britain would leave the EU this month as demanded by law. A Brexit deal signed between the government and the EU in November has been rejected by the parliament for three times and rival factions in the House of Commons are competing for their desired Brexit outcomes, including a no-deal exit, a much softer divorce or an election. 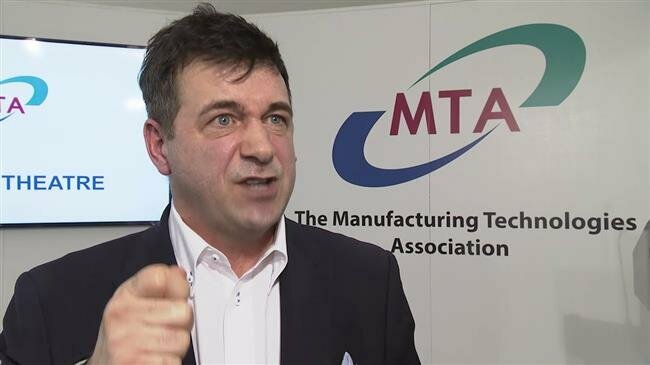 Maier said it was becoming increasingly difficult for people like him to win the trust of the boards of the international companies for future business activities in the UK. He called for a softer Brexit while warning that the threat of “hugely damaging no-deal Brexit” was the main problem for businesses and their future plans in the UK. “Enough is enough. We are all running out of patience. Make a decision and unite around a customs union compromise that delivers economic security and stability,” he said in his letter published by website Politico. Britain is expected to either ratify the Brexit deal until April 12 to secure a short extension from the EU to implement the withdrawal process. Otherwise, London should either leave the EU without a deal on that date or seek a long extension to come up with a new solution. 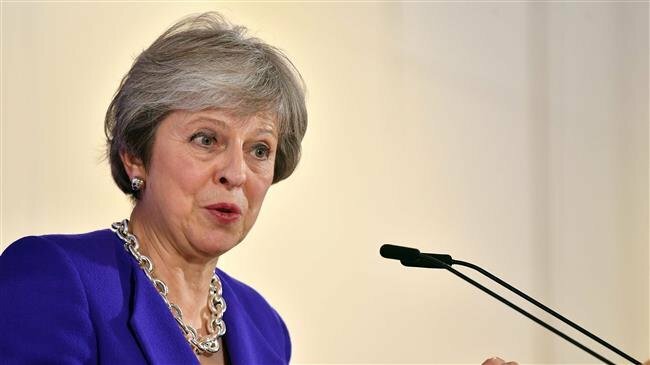 British Prime Minister Theresa May is reportedly trying to find a way to put her European Union withdrawal deal to a fresh vote of the parliament after failing to gain the approval of the chamber on three occasions. 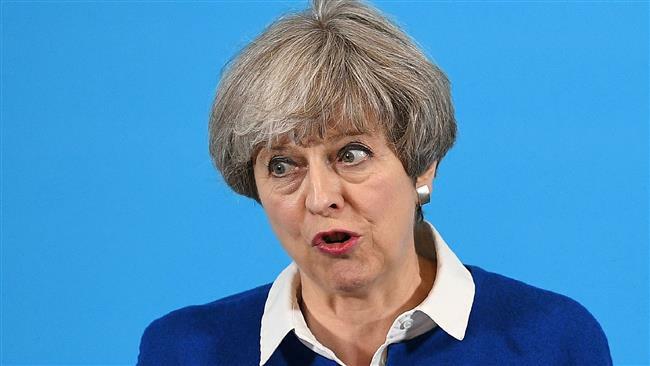 The BBC said on Saturday that May and her cabinet were looking for ways to bring her controversial Brexit deal to the House of Commons for a fourth vote as she seeks to avoid a disorderly withdrawal from the EU. The Commons rejected May’s deal by 58 votes on Friday, the day on which Britain had been supposed to officially leave the EU. The country has now until April 12 to either approve the Brexit deal or come up with a new plan to secure a new extension. Otherwise, it should leave the EU on that day without an agreement, a scenario which many believe will lead to serious disruptions for both London and other European countries. The BBC said May’s government was pondering a resubmission of the deal to the Commons during a series of votes that will be put in front of the chamber next week. It said the fourth bid to pass the Brexit deal was meant to show that the agreement was still the best option available despite attempts by lawmakers to come up with their own solutions. The political standoff over Brexit comes nearly three years after people in Britain voted 52 to 48 to leave the EU. 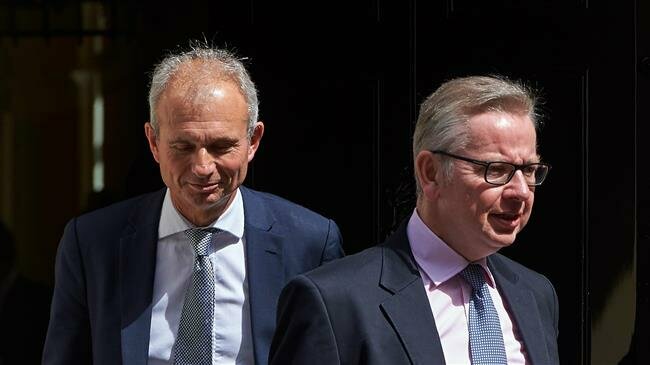 The government has repeatedly warned that a failure to unite behind a single strategy on Brexit could further complicate the situation and expose divisions in the country. A number of UK top ministers are reportedly set to topple Prime Minister May within the next few days due to her inability to get parliamentary support for a Brexit agreement with the European Union (EU) weeks before the deadline to leave the bloc. 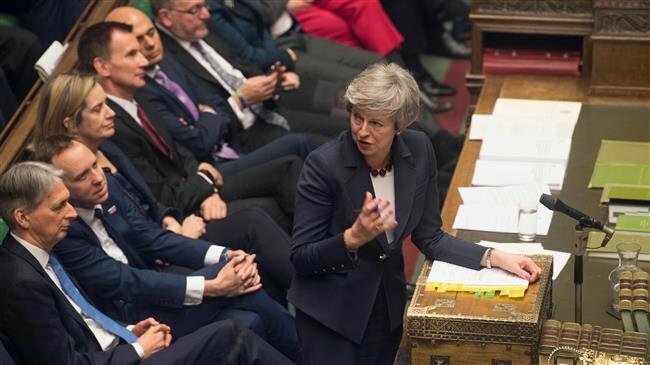 EU leaders called for clarity on Friday from Britain before considering any delay to Brexit after a series of chaotic votes by MPs, just two weeks before the deeply divided country is due to leave the bloc. If MPs vote against it for a third time, the government has warned it will be forced to seek a much longer delay. Dutch Prime Minister Mark Rutte said the Netherlands is open to delaying Britain’s exit, but will seek guarantees that the extra time will be used to break the political impasse in London. A short, technical delay of a few weeks to implement a deal would be straightforward, he said, but a longer postponement would be more difficult. “If they want a delay the British need to explain how they plan to ensure a different outcome,” Rutte told journalists in The Hague. Similarly, Denmark’s foreign minister suggested that, if Britain is going to ask the EU for a delay, it should explain how it would be used to find a solution. “We’re still awaiting clarity from the British side. Before we get that we cannot help the Brits,” Anders Samuelsen said Friday in an e-mail to Reuters. He said Ireland would only consider it if it was to “implement a clear plan and strategy to reflect on and perhaps change direction in regard to Brexit”. On currency markets Friday, the pound jumped versus the dollar and steadied against the euro after a week that saw wild fluctuations for the UK unit triggered by the Brexit twists and turns in parliament. 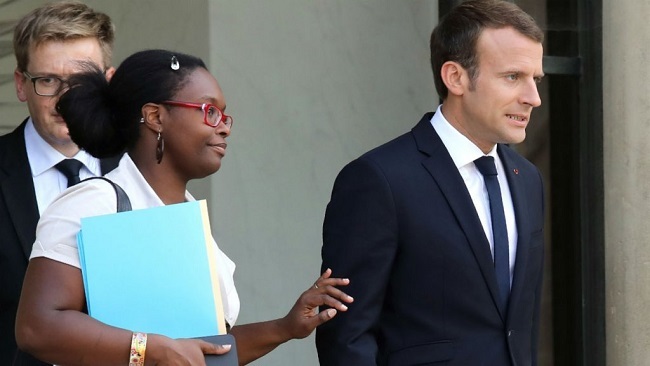 May struck her agreement with the EU in November after nearly two years of tortuous negotiations. But the deal has remained deadlocked in the British parliament, chiefly by disagreement over the so-called Irish “backstop” a measure to keep trade flowing and avoid barriers at the border between Northern Ireland and the Republic of Ireland. Lawmakers voted on Wednesday not to leave without an agreement but still lacked a clear roadmap on the way forward three years after Brexit was approved in a bitterly divisive referendum in June 2016. MPs also rejected a call to hold a second Brexit referendum a blow to the hopes of a large number of Britons who still dream of keeping their European identity. The political crisis has weighed heavily on the economy, dragging down growth and forcing businesses to delay investment decisions. Carolyn Fairbairn, head of the Confederation of British Industry, Britain’s main business lobby, has called on parliament to “stop this circus”. Following the votes against a no-deal Brexit and for a delay, the CBI tweeted there was “still some common sense in Westminster”. “But without a radically new approach, business fears this is simply a stay of execution,” it said. Britain’s main opposition Labour Party has announced that it will push for a second Brexit referendum if its demands are not met in parliament. “If parliament rejects our plan, then Labour will deliver on the promise we made at our annual conference and support a public vote,” Labour’s Brexit spokesman Keir Starmer announced on Twitter on Monday. The announcement comes as the parliament is set to debate and vote on the country’s future steps regarding Brexit on Wednesday. The Labour Party has said it will be putting forward an amendment calling on the government to adopt its Brexit proposals, which push for close alignment with the European Union’s single market and specifically seek a permanent customs union with the bloc. Labour also seeks to force UK Prime Minister Theresa May to delay Brexit beyond the scheduled exit date of March 29 by extending the Article 50 negotiating period. 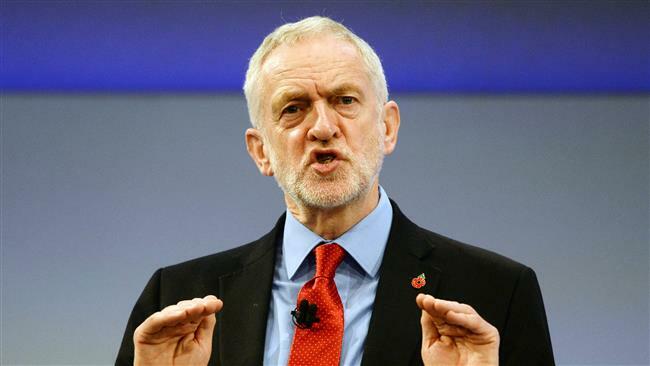 Labour leader Jeremy Corbyn’s office announced on Monday that the opposition leader was due to tell a meeting of his lawmakers that the party “will do everything in our power to prevent no deal”. “We are committed to also putting forward or supporting an amendment in favor of a public vote to prevent a damaging Tory (Conservative) Brexit being forced on the country,” Corbyn was due to announce in the meeting. Lawmakers in the House of Commons rejected May’s deal with the EU on January 15 and forced her to gain concessions from Brussels that could make the agreement acceptable to the chamber. However, the EU has hardly budged on its position, insisting that a controversial mechanism to ensure there would be no border on the island of Ireland after Brexit would not change. 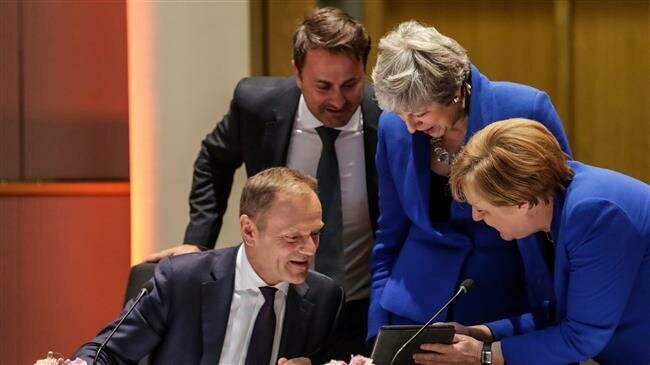 Earlier in the day, European Council President Donald Tusk suggested that delaying Brexit would be a “rational solution”, claiming that there is no majority in the British parliament to approve a divorce deal. 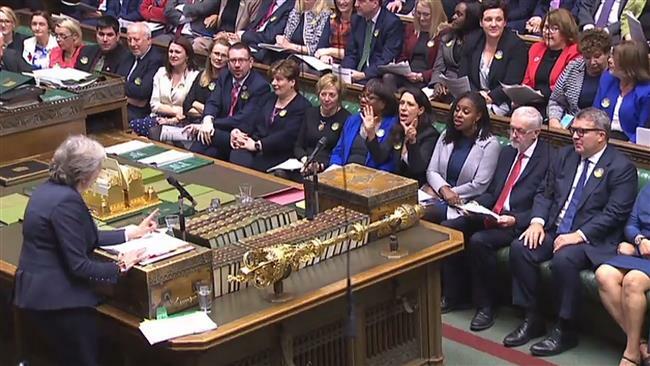 On Sunday, May announced that the final parliament vote on the deal will be delayed until March 12, only little more than two weeks before the Brexit deadline.